2018 will be, as every year has for the past decade, a landmark for esports. More money, more players, more attention, more games, and more competition than ever before… again. Overwatch is going to be a huge part of this, if Blizzard have their way, and the central part of that is the Overwatch League. It’s the official competitive scene for the game with some seriously large goals in mind. For the future of the game itself, check our constantly updated list of Overwatch future plans. As for future teams, a rumoured 13th squad based inChicago, USAand owned by FlyQuest was also on the table, but doesn’t seem to have made it to the first season. Needing an even number of teams to break things down properly, Blizzard likely want to expand the League before season two rather than try to force it now. With more European and APAC teams required to form proper divisions in those regions for true international competition, there will be plenty of opportunity. Blizzard have also made public some rules about how teams can be formed, in combination with the contract rules laid out below. 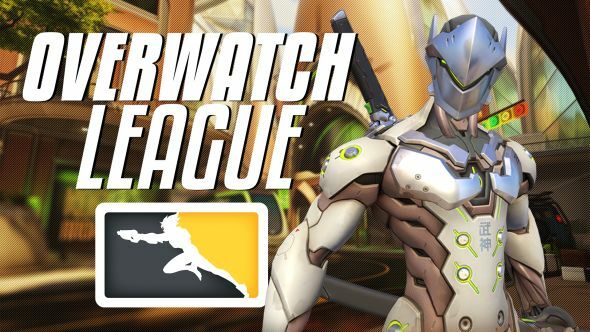 Starting from Stage 3 of the League, Blizzard are offering an Overwatch League All-Access Pass for use on Twitch. 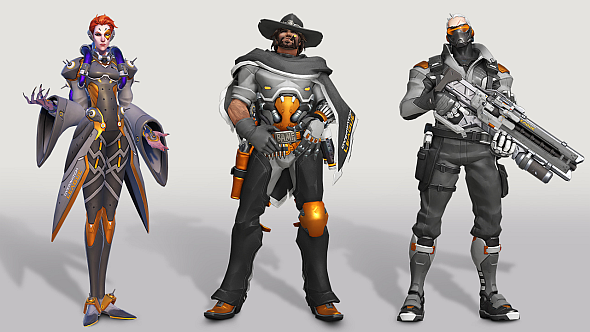 The $29.99 ticket offers new, exclusive in-game skins for Moira, McCree, and Soldier 76, in-game spray, and player icon. 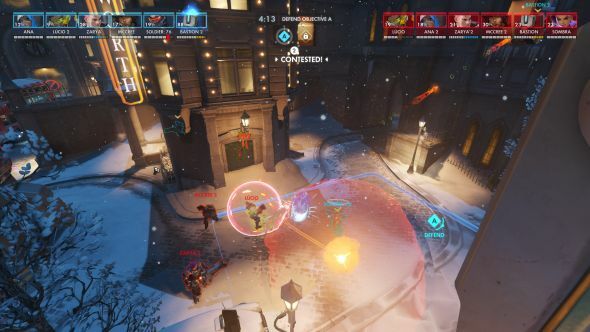 Users also get access to the Overwatch Command Centre: a second-screen system that provides alternate camera angles, backstage footage, player POVs, and statistics in real-time. There are also behind-the-scenes VODs and opportunities to ask questions in match day AMA sessions. Finally, ticket holders also get to watch ad-free on Twitch, and have access to 23 global emotes, including golden team logos. There’s also a global chat badge that works in any Twitch chat channel, but when in OWL chat people will see the badge and a subscriber icon. Each team are getting their own pair of shaders – one home, one away – for use in games. Blizzard announced that the home skins will be purchasable using a new token system, that allows you to target exactly which skins you want, as opposed to the loot box and credits system the game uses for normal skins. One skin requires 100 tokens to unlock, 100 tokens costs you $4.99 / £4.99. As of stage two of the League, you can earn tokens for watching on Twitch. Given there are 12 teams, with a skin each, and 26 heroes, we’re looking at 312 new skins being added.That means that a full set will cost you around $1200. Now, you wouldn’t buy every jersey in a national football league, but that’s still quite the expense. Revenue from purchase of tokens will be going at least partly to the teams, as well as the League itself. You can also get 100 tokens just for logging in during the first months of the League, or signing up for the Overwatch League newsletter. No doubt they will be gifted at various other events as well, plus for watching on Twitch. The season proper began on January 10, with a full schedule of games available over on the official site. Each team will play two matches a week, in a four-game set on a collection of maps that is locked in for a full season. The season is split into four stages of five weeks each, with a week’s break between each one. The end of each stage has a title match for a batch of cash, and helps to split the season up a bit. If you absolutely can’t wait for some action, VODs are going up on the official siteas match days finish. These will take place between July 11 and July 28 and form the end of the season, including the grand finals. They will take place away from the Los Angeles Blizzard Arena that is hosting the other Overwatch League games, possibly on a different continent to appeal to international fans. To qualify for the playoffs, teams have to either win their division or have one of the six best records overall. The teams most likely to be competing are the Seoul Dynasty, New York Excelsior, London Spitfire, Los Angeles Valiant, and Houston Outlaws, but anything could happen across a full season. While little is known about this as of yet, it’s scheduled to happen after the season proper finishes between August 10 and August 12, and is meant as a more casual celebration rather than serious competition. More information is expected to be released as it draws closer, but the League of Legends all-star weekend is likely a good comparison – fun modes, light hearted fan-facing events, and little on the line. There is an app for the League, which allows you to follow teams, find scores and generally keep up with all things OWL while away from a PC. It’s available on iOS and Android, worldwide. Blizzard have a history of not spending much time developing their apps post-release, but it’s a reasonable package to begin with. If the League is successful, it would be weird to see it languish. All games through season one and two of Overwatch League – so that’s this year and next – will bebroadcast on Twitchin a $90 million third-party streaming exclusivity deal. They will be using three channels for English, French and Korean streams. You’ll get some kind of “in-game items” for watching and the Twitch Cheer system is due to be implemented as well. Details on that are yet to be announced. This deal was revealed significantly later than would have been expected, the news only arriving two days before the League was due to start its first games. The preseason wasn’t available on Twitch, and there was some debate as to whether Blizzard would be able to make a deal at all. What a Twitch deal does mean is we’ll get to see viewership numbers for every round and game of OWL. Opening night topped 420,000 concurrents across the three streams, significantly more than was expected. You can also watch via the MLG player, which has a higher bitrate that Twitch and therefore looksrather nice. 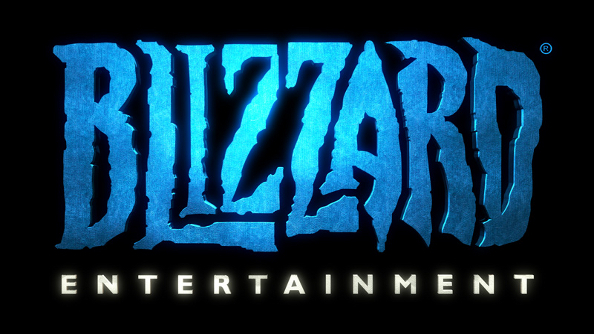 Of note is Blizzard are making sure it’s clear that this is an exclusive streaming deal, not broadcasting as a whole – that leaves the door open for a deal with television stations at some point down the line. If expansion into proper regional competition and home/away games happens sooner rather than later, it could become a reality. 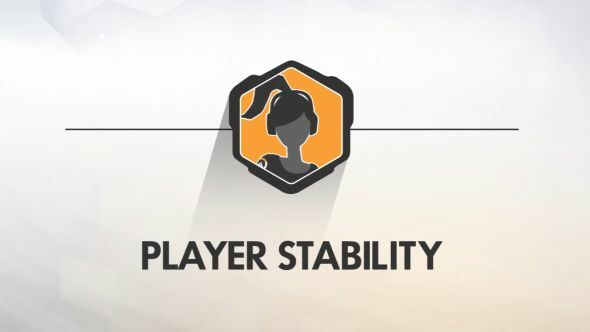 With the inaugural season now in session, here’s a breakdown of how things work – or are supposed to – in Overwatch League. See further down for rumours, leaks, and announcements regarding the future. This is the biggie, really – Overwatch teams are based around cities, much in the same way as NBA, NFL, or soccer teams. In fact, those sports teams are exactly who Blizzard targeted to own the Overwatch squads, hence the big backing of teams like Boston Uprising. The aim is to, eventually, have a local team for major cities throughout the world, far beyond the twelve starters. They’ll be as relevant and valuable to that city as a well-performing major sports franchise. What this also means is that there’s unlikely to ever be relegation from the league. Teams may move city, dump most of their players between seasons, or generally restructure, but they won’t ever be removed – the Golden State Warriors didn’t make the NBA playoffs for 12 years in the ‘90s and early ‘00s, now they’re one of the strongest teams of all time. In 2008 the Seattle SuperSonics became the Oaklahoma City Thunder, and had much more success in their new city than the old. That’s the ebb and flow that’s wanted. In season one, this hasn’t come to fruition yet. 12 teams represent mostly the USA, with only a single team from Europe, China and Korea each. 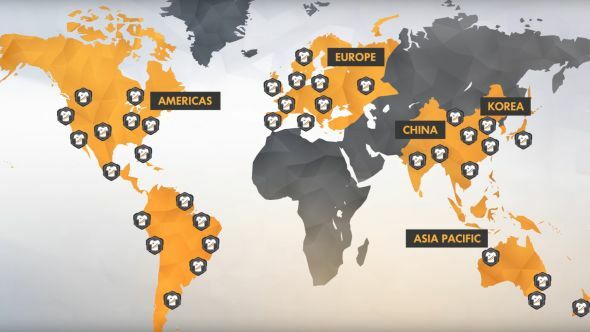 It might be years before Overwatch League has a sizable presence in the rest of the Americas, Europe, and APAC, but that’s the endgame. 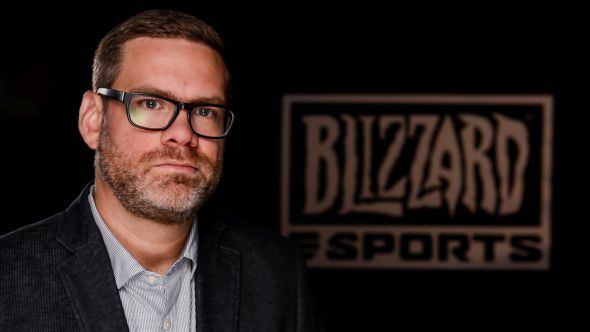 “Initially I was disappointed because these brands were investing and were chosen by Blizzard in many ways because of the brands that they are, because of the people involved, because of the fanbases that they have,” he explains. “So I was disappointed because I felt like it was a mistake to sort’ve exclude those people. If you have a Cloud9 versus EnvyUs [the esports team behind Dallas Fuel] then you’ve already got an established relationship there in other games. “But the flip side of it and what I’ve come around to is that actually it probably makes sense to have a clean sweep. There’s no crossover. If Envy did well in League of Legends then how does that impact Envy doing well in Overwatch? Is it seen as the same, is it seen as better, is it seen as worse? There’s an interesting comparison between the two. That additional pushing power is also still available to the teams, if they need it, or want to show they have a history and veteran staff, even if the League is only just starting. The initial conversations, however, can be “simplified” as Redeye puts it, and it helps fans build a new relationship with what is a new team in a new game and league. 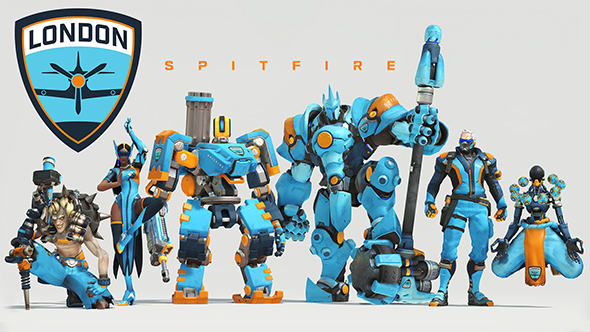 “It simplifies a lot of that discussion because it’s purely about London Spitfire in terms of the brand and the team. It’s nice for fans as well because those that perhaps quietly supported Cloud9 in the background but were sort’ve like ‘well I wasn’t there at the start so I’m probably not a real fan’ – this they can be, they can be in at the ground floor. In three, four years time from now they can say they were here at the start, they supported them from day one, not just because they’re winning everything. I think that’s quite nice from a fan point of view as well. “It’s a restart, if you like, for a brand new league which has dedicated city-based franchises. I’m not sure they would have been able to call it London Cloud9 for instance, I think that would have been even odder, because we all know Cloud9 is based in North America, it’s got its roots in San Jose. 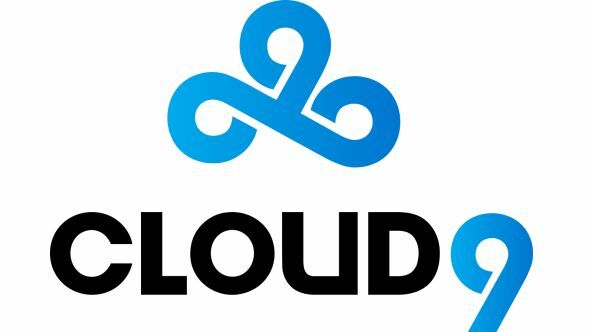 So why would it suddenly become London Cloud9? I think there’s a number of really good reasons as to why the franchises were rebranded. A sports league has to be valuable to two parties: those who own it and those who take part. Money is made from “media rights and consumer products” as ActiBlizz put it, plus sponsorships and in-game merchandise. The plan for splitting it between big blue and the teams is that, once marketing and production costs have been taken off, it’ll be even. On top of this the teams will have their own revenue streams, especially as the system develops. “The more traditional areas like ticket sales and concessions and local sponsorships and local merch sales” said Spencer Neumann in a Q2 2017 earnings call, “but they’ll also have more unique opportunities such as the ability to host certain nonprofessional Overwatch matches.” This was elaborated on in a blogpost on theOverwatch League site. Merch and team uniforms were shown off during the Overwatch League panel at BlizzCon 2018. They’re now available on the Blizzard gear store. As noted above, in-game items come down to the set of home skins available, but it’s expected that will be expanded over time. Once you’ve got your teams and your game, you need to get it to the people. Obviously, a large amount of this will be through the Twitch deal in a traditional esports manner. However, the pull of TV and other paid-for platforms is strong, in terms of money to be made and developing a reliable ecosystem. In that regard, there’s mention of a “standalone primetime matchup between top teams” as part of the broadcast schedule. Speculation is that this will be an Eleague-style national broadcast, using the Sunday Night Football formula of having a “big game” as the focus of all international broadcasts at that time. It’s even possible it won’t be available for free at all. If that’s the case, it will take quite some convincing of the playerbase that the new broadcasts are worth paying for, given the high quality of what they’re currently getting for free. Guaranteed year-long duration, with options to extend. This will amount to $3.5 million in season one, between the stage finals, playoffs and grand finals. Blizzard also outline how the best ladder players will compete in online tournaments, then attend combines – essentially proving grounds – to show their worth to prospective teams. In fact, they consider anyone who is of-age, eligible to play and owns the game as a free agent. That includes anyone currently on a team, and nothing ties them to that team besides their own legal contracts. This is a much more structured process than the normal hope-to-be-noticed system in other esports, though details are thin on the ground what a combine, for example, will actually entail. They’re yet to be announced for season two, and teams for season one were formed simply by backroom discussions between existing pro players and teams. The latest Path to Pro information also makes no mention of them – it’s possible that they were one thing that couldn’t make the transition from the NFL to Overwatch’s more online format. The first major contract to get a lot of notice was for Sinatraa, who will be playing for the NRG Esports team out of San Francisco. He’s making $150,000 a year at 17, something we can all relate to, no doubt. This came about as part of a bidding war, according to ESPN, between Cloud9 and NRG. That’s a lot of cash on the line. MLG were purchased in full in late 2015 and so they’ve now been consolidated under the Activision Blizzard banner and will be running the Overwatch League, serving as the “operation foundation, partnership hub, and media production network” for both this and the Call of Duty World League. It will retain the MLG name, and it’s their player that is hosting everything that isn’t on Twitch. As for the actual broadcast talent, the full list for the first season is now available. 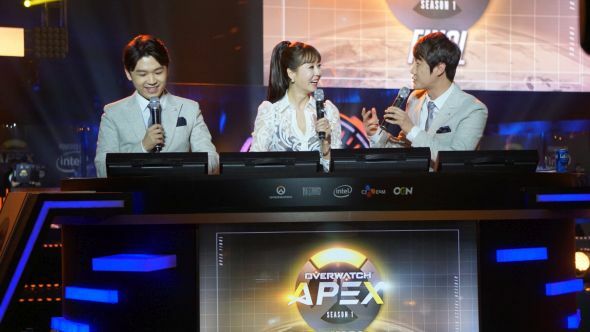 It includes a number of multi-game veterans as well as people who have been covering Overwatch exclusively since it first had an esports scene. It’s an impressive squad, particularly for a first season, and should lead to OWL having one of the strongest broadcast teams out there. While the above, along with all the hiring, should be evidence enough for this, Blizzard have said as much themselves. In their Q2 2017 earnings callSpencer Neumann, CFO of Activision Blizzard, said “with the recently-announced sale of seven teams, we do expect some revenue upside to Q4, but it will be modest given the recognition of team sale proceeds over multiple years. Further, from an operating income perspective, the revenue recognition of team sales will be partially offset by the investment required to launch the league including inaugural season marketing. For investors, that means they shouldn’t be looking at a big W in the green column until a few years down the line. For players and casual viewers, it means that not only is this not going to disappear over night if it doesn’t prove successful by the end of 2018, but it will grow. Depending on your opinion on how watchable Overwatch is, that’s either going to lead to a massive league, a great slow growth, or an incredible, self-multiplying train crash. Blizzard’s official announcements aren’t the only source and much of what they say has implications we can infer. There’s also separate interviews, leaks, and more. Here’s what we’ve gotten from that. “There is a lot that goes into hosting home games right? You have to source a venue, you have to staff it, you have to sell tickets and concessions, you got to figure out how to run a show – there is a tremendous amount of operational capability required to host these home games. We will play the entire season out of a studio in LA [so that] teams have time to build the capability required. During the inaugural season press conferences, LA Valiant revealed that they intend to be in a stadium of their own by season three – which would begin in 2020. This is the first timeframe we’ve seen placed on the concept of stadiums for teams. It wouldn’t make a lot of sense for just one team to have a place to call home, so presumably that’s when we’ll see the others pop up as well. It would make sense with the timeframe of the Twitch deal as well, since once there are multiple locations being broadcast from, that will get much more complicated. “Initially I was very skeptical, and I said so publicly. I was involved in the CGS (Championship Gaming Series) which was the last time we tried a ‘city-based’ franchised league and it failed. It didn’t fail because it was a city-based franchise league, it failed for a number of other, associated reasons. “One of the things they didn’t do very well in CGS, and I said that ‘if Overwatch League is going to succeed on this city-based franchise system then it has to do this better’ – and that is that you have to actually play the games. You have to actually be in that city. There’s no point in calling it London Spitfire if we’re just going to be playing in an arena in LA. And Blizzard know that. “There’s some caution and I think rightly so. This is a brand new league, set up from scratch, it’s got a lot of potential pitfalls in it and to minimise them you have to have a location which is central, all the players know where they’re going, and we’ve got a stable ecosystem to start things off with. That’s why it’s done in LA right now. It’s an intriguing alternate, and doesn’t necessarily go back on the announcements they’ve made so far. It also means that more local games could start happening even before the League is split into distinct regions, because it doesn’t need Seoul Dynasty to fly home, then to LA, then to London over the course of a couple of days. Rumours have swirled for a long time that getting into the Overwatch League takes a significant amount of investment. Numbers from $2 million to $30 million have been thrown around, though no solid min-max was ever put on it. These prices are pointed at the billionaire corporations behind the world’s largest sports franchises – hence why men like Robert Kraft and Jeff Wilpon own teams. With twelve teams secured and investment from a number of different sectors, clearly it wasn’t that hard to convince people the buy-in was worth it. With rumours of anything from two to 24 more teams coming in season two, that will need to continue. Outside the game, there’s a lot of work to be done – but the same is true in Overwatch itself. An ecosystem cannot be built around a game without help from the game itself, and these are ideas suggested by the community or we’ve come up with ourselves, mostly inspired by other games, that will help with just that. This is, arguably, the best thing Dota 2 has done for its own pro scene, and Heroes of the Storm has a similar system. It isn’t as widely used as you might expect, but what it does allow for is a lot of recognition by your average player as to what is happening on the pro scene. With 30 million players, which must have growth targets in the hundreds of millions, that’s a lot of eyeballs you want to be giving the best possible chance of getting invested in esports. This can also work cross-platform once the spectator system is implemented fully. For the World Cup finals 2017, Blizzard implemented a huge number of new spectator features that vastly improve the experience. They also added a button on the main menu to go directly to the stream. However, loading that process up fully in-game without leaving the client gives the potential for a lot more views – particularly from console players.